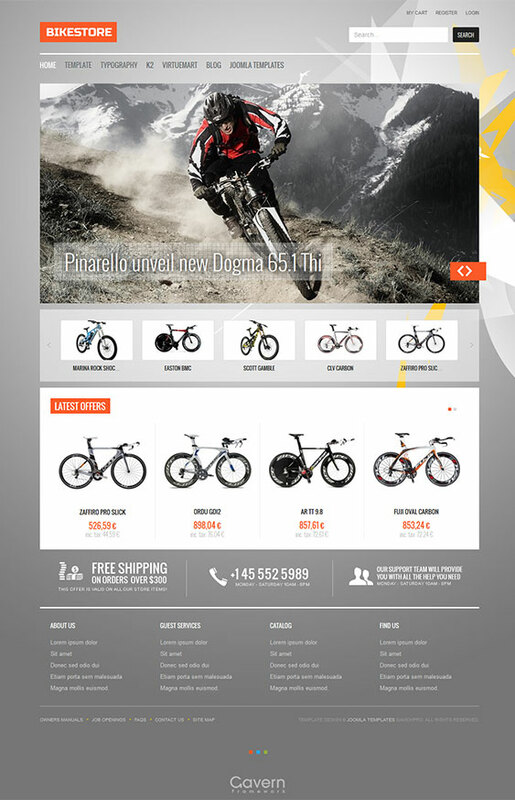 Expert cyclists know what they want, and with this premium ecommerce theme, you can give it to them. Clean page layouts display your big products in easy-to-use rotators, while a large header slider provides a way to advertise your big new additions for all to see. Sublime WooCommerce support makes managing your inventory and sale process easy, and will ensure a comfortable experience for your customers. With WooCommerce support and plugins built for perfect product placement, customers will find what they need in no time at all. WooCommerce pages, including cart, checkout, category and product pages have been styled to fit the look of the theme, so the transition between site and payment will be seamless. Bike Store uses our News Gallery plugin to make single line product displays that can be easily paginated to show several products without taking up half the screen. For more complex looks, our News Show Pro plugin has multiple display options for awesome product or article highlights that may be fine-tuned to meet your requirements. Images have a lot of power; they can engage visitors and draw their attention. With this in mind, our included Image Show widget has been used to create a large header slideshow that will captivate your audience. You have the freedom to link slides wherever you wish, whether it's blog posts or external links about upcoming company releases. A broad selection of widget areas gives you the flexibility to add more features, and widget rules functionality provided by our GavernWP framework allows you to control which pages and posts a widget appears on alongside advanced typography for truly original content. 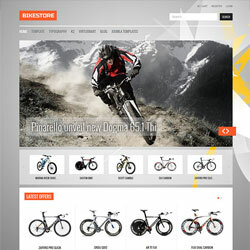 With this powerful, responsive theme, you can start a magnificent webstore from scratch.